Now that we are leading so quiet a life I feel that even my dearest friends would not care to read a record of such a dull existence, so I will continue to keep my journal merely for my own amusement; I wrote letters this morning; then to the Hospital & found my new cook an improvement on the old & I hope to get matters there in better order; I ordered a nice breakfast for tomorrow. I have had the wing whitewashed & throughly [thoroughly] cleaned today, after the various occupants of the last months I made arrangements to have some other necessary repairs made. After tea, to-night, we all went out to walk; it is so much more pleasant to be out than in, that I have adopted it as my time for attending to businesses, as there is nothing going on, at home, to make it particularly agreeable. I hear of all sorts of queer [strange] people having supplies to sell & I hunt them up, as it is the only change of getting anything, the stores being entirely bare. No army news today. I got a note from Dr. Meeker to-day telling me “the Captains” got to Strasburgh, the first day & bore the journey very well. I was truly glad. Everyone enjoys this quiet except myself. The want of excitement & additional anxieties about the support of the family leaves me prey to those sad feelings & make me feel the sad loss, the terrible want of my existence, now more than ever. But I have one cause for deep gratitude & that is, that there is no sickness in the family now. Fanny Baldwin is very ill, but the general health of the town is very much improved. I carried some very nice fried chicken to my men this morning & they enjoyed it exceedingly. Laid down all the afternoon & after tea, all the family went to walk & I had a good quiet time on the porch. Late in the evening Mrs. Baker & Miss Jackson came in. There are rumours of French intervention, recognition, & a large French fleet in the Gulf of Mexico & a large army in Mexico. Excerpts from Mary Greenhow Lee’s Journal, August 1863. The French weren’t coming to help the Confederacy, but they were attempting something in North America. Known as the Second French Intervention in Mexico, it was an attempt by Napoleon III to take over Mexico while the United States was too busy with the Civil War to enforce the Monroe Doctrine. 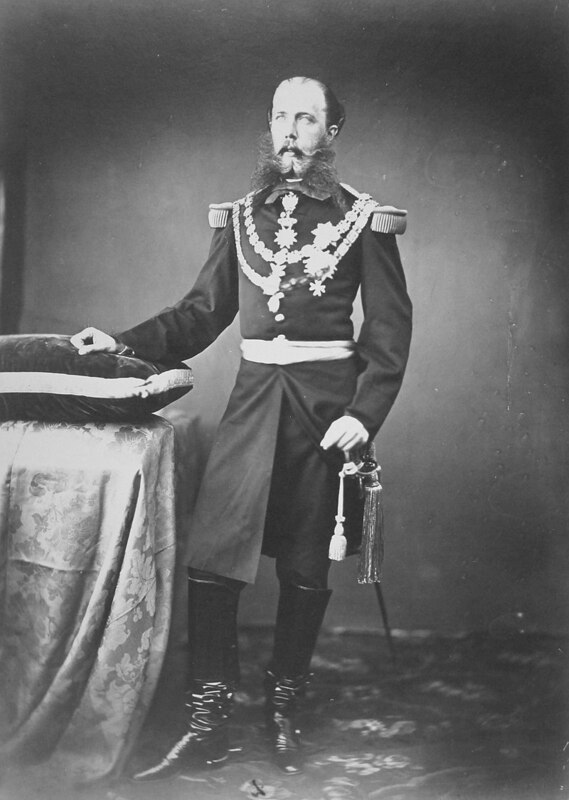 In 1863, Mexico City was captured and later that year Napoleon III allowed Maximilian – an Austrian Hapsburg – to establish a monarchy for France, but in 1864, ambitious Maximilian proclaimed himself Emperor of Mexico. Although European powers recognized this new “empire,” the United States did not and when French troops withdrew in 1866 the regime collapsed. Yes, the French were active in the Gulf of Mexico and Mexico itself, but they were not planning an expedition to assist the Southerners in the Civil War. 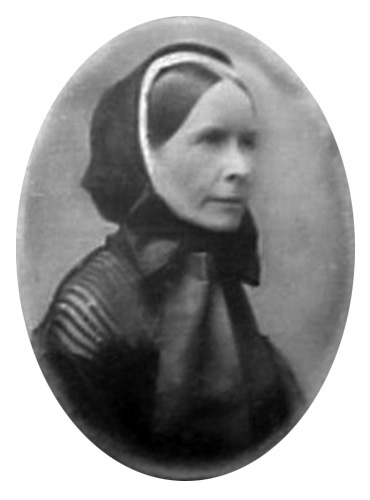 Winchester, Virginia, Mary Greenhow Lee’s hometown had been one of the first major cities to receive the Confederate wounded from Gettysburg a month earlier. Yet another chapter of the city’s history and pages of Lee’s journal filled with details about the hospitals and the injured and dying from a battlefield across the Potomac. By mid-August, though, the busy days were over. Life had settled back to its routine, but Lee’s routine still involved assisting at a hospital. For war-time Winchester, hospital work had become a way of life for the civilians. 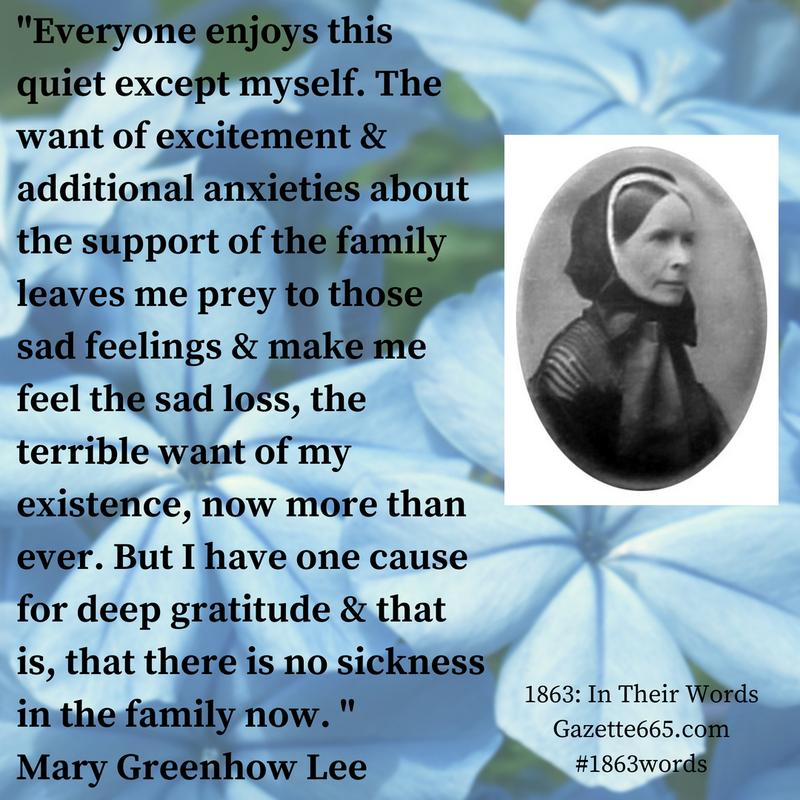 Mary Greenhow Lee wrote about her dislike of these quiet days, saying it gave it her too much time to reflect on the situation of the war and her separated family. She actually preferred the days of Yankee raids or overcrowded hospitals because it gave her problems to solve and a way of feeling useful. In Civil War medical studies, we often talk about disease killing more soldiers than battle bullets. With this focus on military medicine, it’s easy to forget diseases toll on the civilian population during the war. Winchester was hit especially hard with epidemic proportions of illness in the first year of the war and new recruits passed through or camped near town and shared their sicknesses with the civilians. Civilians died of the illnesses, never officially counted in the casualties of the war, but killed by the conflict which brought unreasonably high levels of disease to their community. In her journal entries, Lee gratefully noted the lessening of sickness in the town during August 1863, and though a friend was ill, Lee was still glad that none of her civilian family was in immediate danger from disease.